Home Exercises to get your Body Moving! Simple home exercises like walking, biking and stretching will make an enormous difference in the success of your Organic Detox™. Regular movement helps to clear toxins out more quickly. They'll be stirred up and eliminated through the combination of increased circulation of blood and lymph fluid, deep breathing and sweating. Modern life has got us all sitting aroundin our cars, at our computers, at our desks and in front of the TV. Without intentional exercise, we're likely to get very little movement in the course of everyday life. Technology has taken the movement right out of our lives and replaced it with excessive screen time and driving time. But your body is not designed to sit around all day. Without regular physical activity your body becomes stagnant. The vital fluids that pump through your veins and glands slow down, toxins accumulate and your internal systems begin to weaken. Home exercises get things moving again. Daily movement through outdoor, gym or home exercises is essential for health and vitality. It loosens your muscles and joints, keeps your heart healthy and produces the endorphins you need to feel healthy and happy. Even if work or parenting gets you up and moving, you may not be receiving the full benefits of dedicated exercise time. Find something that you truly enjoy and that feels good. Over time you can build intensity as your body strengthens and your joints become more flexible. Try exploring new ideas - how about dancing or kayaking? 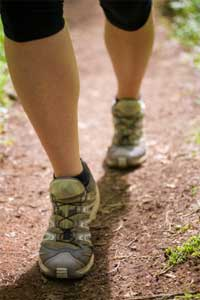 Mild cardiovascular exercise, like swimming, biking, walking are great ways to get your blood and lymph fluid moving. During your Organic Detox™ you won't want to overdo it. The goal for home exercises is to stimulate motion in your body, not to burn off calories or exhaust yourself. Remember, your body is already doing a lot of extra work with the detox program. Listen to your body and give it what it needs to feel well. Walking, biking and hiking: Great ways to explore natural beauty and take a break from your daily concerns. Swimming: Much easier on your joints than running. If you enjoy being in the water, this can be a terrific exercise. Dancing: Every muscle and joint can be engaged in this. Negative emotions and all forms of toxins can be shaken and shimmied right out! If you enjoy this, set aside 30-60 minutes in a time and place you feel comfortable, play music and dance. The Rewards of Exercise: Whatever form of exercise you choose, do it regularly and you will be greatly rewarded. As you become more and more active, toxins, disease and emotions will move right through you and stagnation will be a thing of the past.